Lovely in lace. 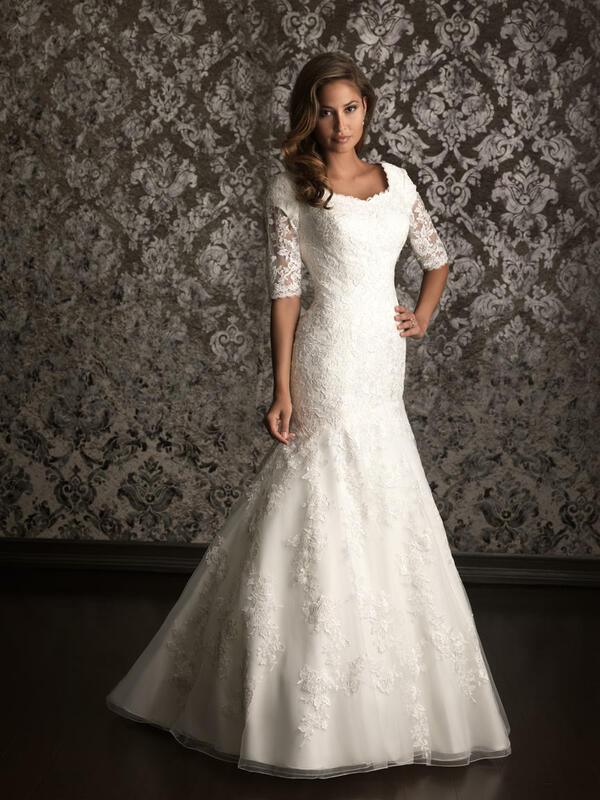 A slim, A-line gown featuring lace applique throughout. The bodice features a scooped neckline, 3/4 length sleeves with sheer lace details that continue to the fully covered back.